Organ transplantation has played a crucial role in treatment of several medical conditions, which were considered incurable in the past. Kidney and liver transplants are possible at several centres today and can be classified as life-saving. Similarly heart and lung transplants can also be life-saving for the affected individual. A person who undergoes an organ transplant has to take immunosuppressive medications for the rest of his/her life, to prevent rejection of the transplanted organ/tissue. These medications are strong and often cause some side-effects and complications with long-term use. I strongly believe that after the human brain, it is the ‘Human Hand’, which can be considered as a masterpiece of human evolution. Our hands have evolved significantly from those of our predecessors. I am extremely fascinated by the capability of our hands to perform the most fine, complex and skillful activities, as well as generate immense force and power. Even in today’s era of advanced technology, it has not been possible to replace or replicate the function of human hands. Every year several people lose their upper limbs due to trauma, cancer, infections, and vascular complications. Upper limb prosthetics are often provided as the only option for such amputees. These artificial limbs are often heavy and provide minimal function. They are extremely costly (up to ₹ 25-30 lakhs) and often need repair/replacement every few years. Their main drawback is the lack of sensations and the inability to handle water (which is extremely important in day-to-day activities). This results in poor acceptance and compliance of the prosthesis. Hand transplantation is capable of restoring normal physical appearance, good sensations, and near-normal motor function, which is much more superior to any prosthesis. This can result in a significant improvement in the quality of life of the recipient and can make him ‘truly’ independent again. Although hand transplants are not life-saving, they are life-changing for the affected individual. Reconstructive transplantation has become a clinical reality over the past two decades with close to 120 upper limb (single and double hand) transplants performed till date with highly encouraging graft survival and good to excellent functional outcomes. The constantly improving safety, efficacy, and applicability of these promising reconstructive modalities hold great promise for patients with devastating injuries or deformities that are not amenable to conventional methods of repair. First Hand transplant was performed in 1963 in Ecuador, with primitive immunosuppressive drugs. The new era of hand transplants began in Lyon, France (1998). This was followed closely by Kleinert Institute, Louisville, Kentucky (1999). Since then, several centres across USA, Europe and Asia have performed this procedure. Hand transplantation is a surgical procedure to transfer one or both hands from a brain-dead donor to a suitable recipient. The recipient is a person who has lost one or both hands at the wrist / forearm / arm level. Hand transplant is a complex procedure requiring highly specialised surgeons (trained in plastic and hand surgery), working in coordinated teams for long hours. Average operating time: single hand transplant 8-10 hours, double hand transplant 15-18 hours. Pre-operative matching of the donor and recipient is performed to judge the compatibility for transplantation.Just before the surgery, the recipient is started with immunosuppressive medications, to avoid rejection of the transplanted part. Surgery consists of harvesting the hands from the brain-dead donor. The donor is fitted with an artificial (prosthetic) hand to avoid social and psychological issues related to the visual mutilation. Simultaneously the recipient preparation is started. The donor hand is then attached to the recipient stump part by part. Bones are fixed first. Followed by repair of the major blood vessels, tendons, nerves and the skin. The patients are kept in isolation and intense ICU monitoring following the surgery. They have to undergo regular, rigorous and long-term physiotherapy and rehabilitation. They need close follow-up, regular investigations and titration of the immunosuppressive medications. Excellent outcomes have been reported worldwide in majority of cases, in terms of good hand function and improved quality of life parameters. Organ donation: This is the biggest hurdle in the entire process. There is a serious lack of awareness in the society about the possibility of hand donation and the immense change it can bring to somebody’s life. There are several religious myths and misbeliefs in the society, which are acting as a major road-block for organ donation. Patient education, awareness and understanding about the surgical complexity of the procedure. Life-long immunosuppression: Associated risks, complications and cost. Prolonged supervised physiotherapy to achieve a good functional outcome. 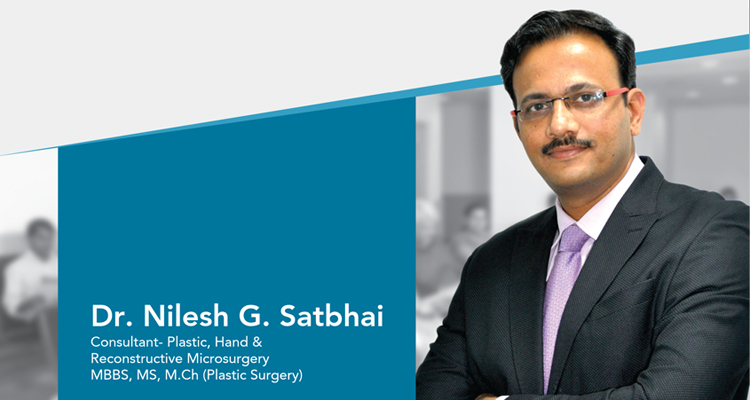 Hand transplantation today is a valuable and reliable treatment option for the many patients who are suffering and leading a dependent life. It is probably their only hope to lead an independent and productive life. It is extremely important for all of us to create awareness for this noble cause and make a difference to many deserving lives. Liver cancer: what are we dealing with…!